A new website service has ignited controversy among gamers with its claims to provide compensation for World of Warcraft players who experience problems with the game. The site will apparently offer payments for laggy gameplay, system outages and waiting queues. The site is known as YouPlayorWePay.com and the guys behind it claim they're offering the world's first third-party compensation site for WoW players. 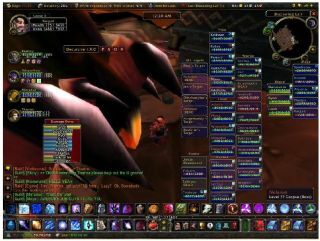 When news first broke in the WoW Insider forums, a number of users dismissed the site as a scam and most wanted to know: "how could these guys get away with asking for a fee and taking people's money on the promise that they might get some back?" The site also raises the issue – why isn't Blizzard offering compensation to paying customers for problems with its game? And are these problems considered serious enough to warrant refunds? Compensation scheme or pyramid scam? WoW Insider interviewed George Tung and Milos Golubovic, the site's founders, to quiz them about their service to the massive MMO community of over 11 million gamers worldwide. Tung informed them that compensation is calculated from the amount of downtime experienced and a "datalog" compensation factor that's offered when the game is in "high" population mode. He described it as when the game's servers are: "just maxed out and there are waiting queues…"
A subscription to the service varies in cost (dependant on your character's level and realm), but Golubovic notes that it is: "close to five or six dollars. It can get as high as, I believe, 11 dollars." So, what do they say to those critics calling the scheme a scam? "A scam is where we take the money, but we don't pay out anything," says Tung. "Of course, we're a new site, so people will feel like it's a risk… in terms of just taking a risk to see if people actually make money, yes that's a risk." Tung also added that: "We're also taking a risk, because our calculations are based on [data] we've gathered for only six months. It could be very different this year, or next year, or the year after. We could end up losing a lot of money by doing this." Blizzard has yet to respond to this third party WoW compensation scheme. The YouPlayorWePay guys, despite highlighting the flaws in Blizzard's game, claim that they'd: "like to become close partners with Blizzard so that we can implement more features ­­-- account security and stuff like that. So, legitimate compensation scheme or get-rich-quick scam? Make your own mind up. TechRadar has also contacted Blizzard for further comment on this story.